After the recent backlash unleashed on the coffee giant for its nondescript red cups, Starbucks revealed this year's four holiday-themed cup patterns on Thursday morning. “We listened to our customers,” so many of whom "loved the tradition of Christmas," said Roz Brewer, chief operating officer for Starbucks, said in a statement. 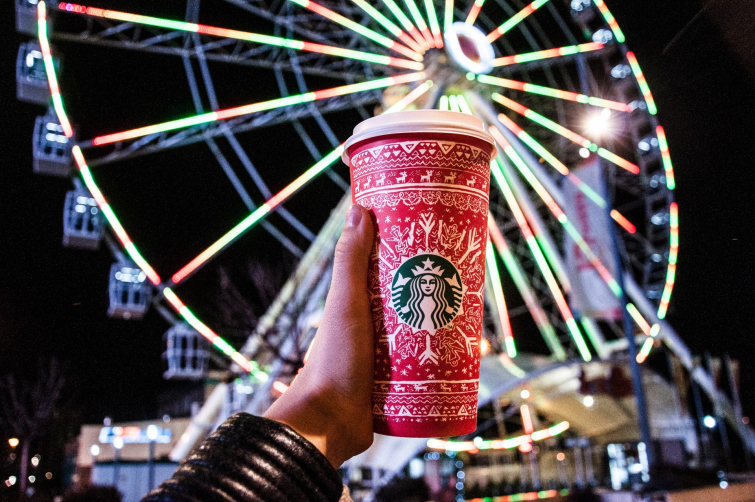 Starbucks’ Christmas cups became the trademark of the "war on Christmas" after former pastor Joshua Feuerstein accused Starbucks of removing the “symbols of the season” from its cups in favor of a solid red cup “because they hate Jesus."